I’ve spoken about my resolution to get in shape many times here already, and even more about my failed attempts of keeping at it. I don’t why I just keep giving myself excuses to eat all that I shouldn’t, like this Orange and coconut barfi recipe today again. The biggest sin is to give into the temptation is what I was taught at my Missionary School each day for 10 long years, but somehow it’s becoming so difficult to practice. That’s my irony, at this very moment to me two things are quite important, one to cook and blog about it, and other to cut down on my trouble tyres or muffin tops, as our dear Liz sugar-coats it in her awesome role in Eat Pray Love. Nonetheless, now that the sin is already committed I’ve decided to infest all of you with this sin of sweetness, let’s see how many of you would be able to practice abstinence after all (wink wink). 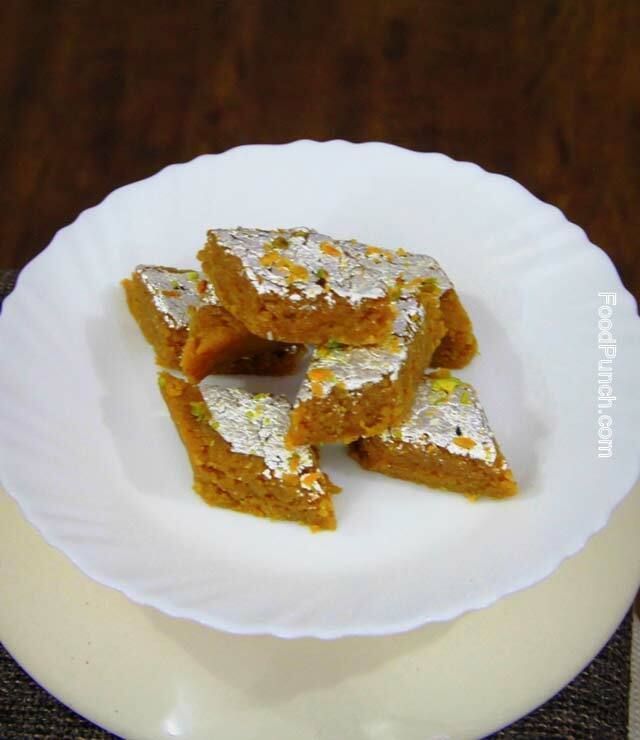 Oh yeah that’s a challenge that you are up to lose for you won’t be able to resist these little sweet seductions, my Orange and Coconut Barfi. Having raised the bar for expectations let me now get down to ground zero and confess that I am quite disappointed in the pictures that I’ve clicked. Sorry is all I can say for now but not without promising myself that I shall soon better on this skill. As you go on reading through the ingredients followed by the recipe, you are sure to get baffled at first, all the extensive work and the atypical ingredients. I know it could be a bit of a trouble but the result, trust me is going to make all your efforts worth. Please feel free to write to me for any specific queries, I shall try and help as far as I can. 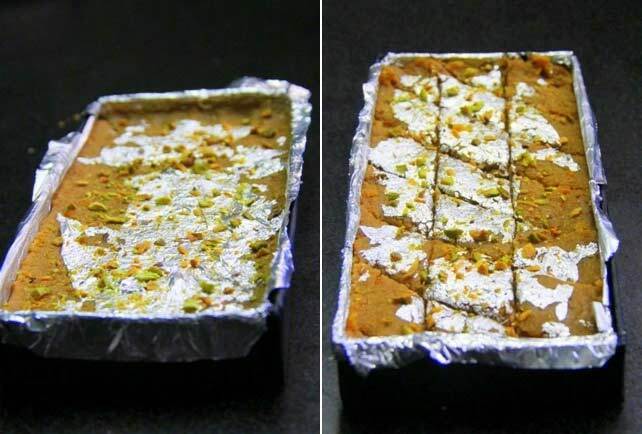 PS:- Such extensive sweets are usually made at our Indian households during festivals or special occasions, I have no such reason to support but trust I can still celebrate a day in life, just like that without any special occasion. I am a foodie after all. 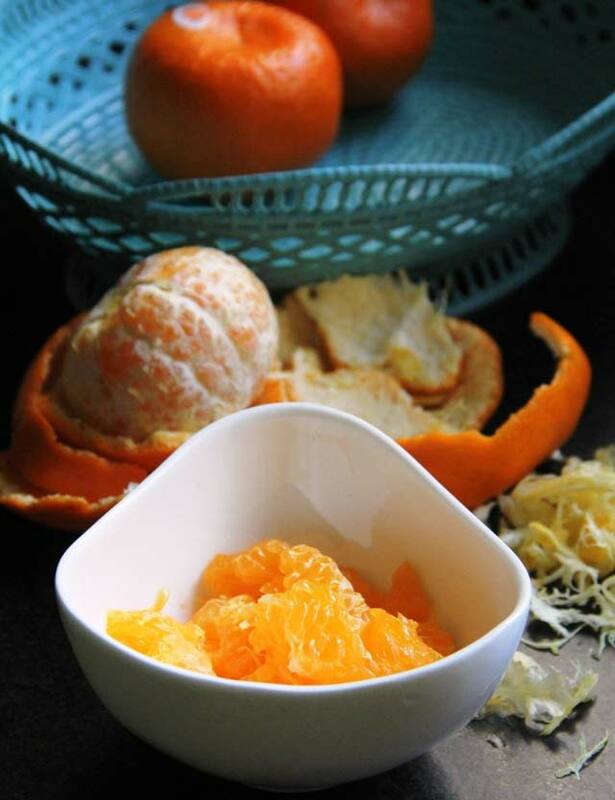 Peel the oranges, remove the seed and the entire transparent skin and keep the segments aside. Grate Khoya and put it in a thick bottom wok or deep pan with sugar and heat on a medium heat. Stirring continuously allow it to thicken. Once it reduces to almost half the quantity then add the orange segments. This will further loosen the consistency. Stir continuously again and cook on a low flame till the mixture reduces almost to a homogeneous mass. Then add the coconut powder, ghee and cardamom powder. Mix well together and remove from heat. Grease a small square/rectangular tray and spread the entire mixture evenly across the base. Now very carefully cover the surface with the silver vark, sprinkle the nuts and set aside to cool. Once cooled cut into diamond shape pieces and enjoy. 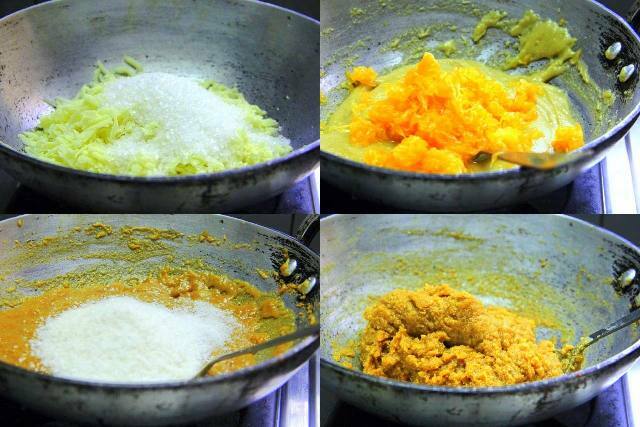 Use un-sweetened condensed milk instead of Khoya, in this case do reduce the condensed milk on a medium heat stirring continuously first and then add sugar followed by the remaining steps. 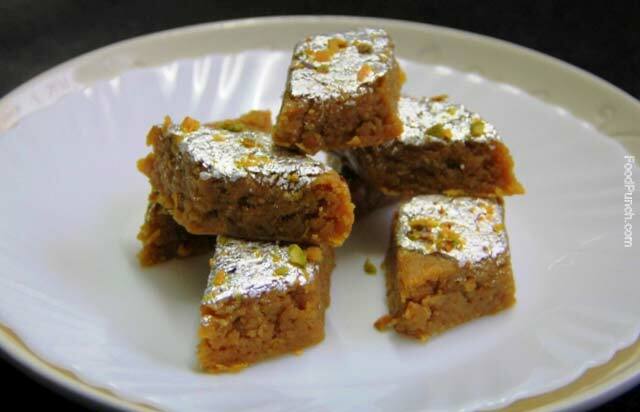 Do adjust the amount of sugar to suit your taste, Indian sweets are usually a little over the top sweet. Do not leave the mixture over heat without stirring; it may burn in no time. nice nice..feels like a festival is near…! !hoping to see many more such recipes …!! Thanks priya .. We sure are up for one of our fav festival soon :-).